ATLANTIC CITY, New Jersey -- New Jersey Gov. Chris Christie said Tuesday the state will assume vast control over Atlantic City's finances and decision-making, saying the seaside gambling resort is incapable of getting its finances together after years of overspending. Christie, a Republican presidential candidate, was joined by the Democratic leader of the state Senate, who has already introduced a takeover bill, and the Republican mayor of Atlantic City, who reluctantly went along with the plan. Gov. 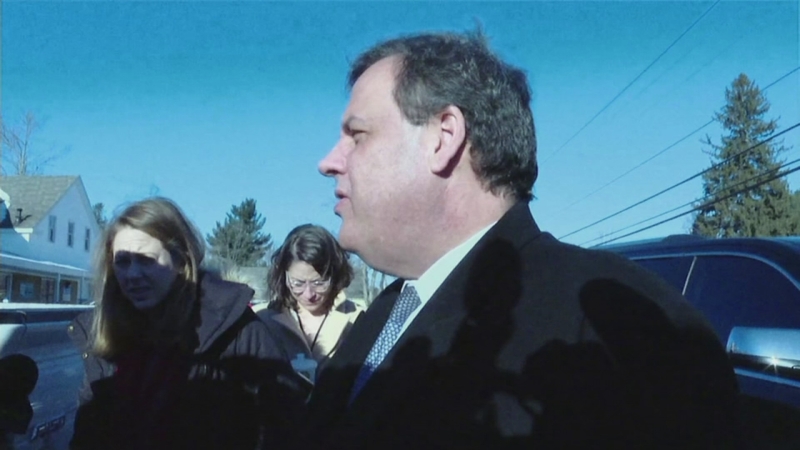 Chris Christie called Tuesday for an imminent state takeover of Atlantic City. "Atlantic City's government has too much debt and it's too expensive to run for the tax base it has," Christie said. "Atlantic City's finances are now the greatest threat to the city's well-being. The urgency of the city's current financial predicament cannot be overstated." Christie and Senate President Steve Sweeney said the takeover bill in the Legislature will be amended to incorporate elements of a financial assistance package the governor vetoed last week. That includes a provision to let the city's eight casinos make payments in lieu of taxes and prohibit them from appealing their taxes. "We have to fix this government," Sweeney said. The legislation, which must be approved by the Legislature, will also let the state negotiate to restructure municipal debt, give it the right to cancel collective bargaining agreements, and sell off city assets and land. Mayor Don Guardian, who initially opposed a takeover, said Tuesday he decided to accept the state's help. "From the looks on your faces, you don't like 'Kumbaya' moments," he told reporters at a Statehouse news conference. "I'm sorry for that. It's time for some tough decisions and some pain as we move forward." Hours later, the City Council voted 9-0 to "join negotiations on a new partnership bill," Councilman Jesse Kurtz said. The council had intended to vote on whether to ask the state for permission to file for bankruptcy. Christie called for the legislation to be introduced and passed before the end of February, and he made a rare promise in advance to sign it. The state takeover would last five years instead of the 15 envisioned in the original legislation. Assembly Speaker Vincent Prieto, a Democrat, said he has serious concerns about the state being given the right to cancel collective bargaining agreements. Prieto, who was not at the news conference, also cautioned Christie and Sweeney not to ignore him. "If the Assembly is not involved, then there is no agreement," he said. The struggling seaside gambling resort is still reeling from Christie's veto of a financial aid package, $160 million in tax appeals from its top casino and the continuing slowdown of its casino industry. Christie has long been critical of Atlantic City's municipal government, saying it spends far more than it takes in and repeatedly turns to the state for bailouts. Sweeney has said "there is Atlantic City fatigue in this building," referring to the reaction of lawmakers from the rest of the state when Atlantic City seeks more money from the state. Guardian, entering his third year in office, says his administration has cooperated with Christie in making painful budget cuts and is willing to do more. Atlantic City's budget woes have been exacerbated by the cratering of its casino industry. In 2014, four of its 12 casinos went out of business. And many of the remaining casinos have successfully appealed their property taxes, convincing a tax court that they are worth less in a diminished market than they were when times were better. Atlantic City's casino revenue has fallen from $5.2 billion in 2006 to $2.56 billion last year.